Shiplap Walls in Interior Design. What is it and How To Install It? 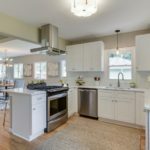 There’s no doubt that with the popularity of television home rehab programs like Fixer Upper, that some trends just tend to get reignited. Shiplap is one of those trends. Modern day shiplap is, of course, a bit different from the original, but where did it really come from? 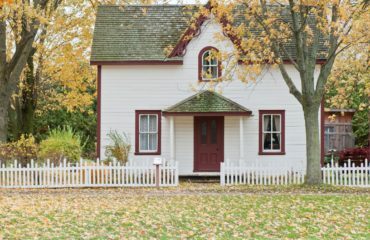 If you’re fortunate enough to have lived in coastal towns on either the west or east coasts then you may have owned a home with original shiplap walls. The history of shiplap used in houses is that it was salvaged boat wood from the board yards and wrecks around seaports. An age-old recycling project that enhanced coastal homes with vintage charm for decades. Historically, in these coastal homes, shiplap in the home interior was never meant to be exposed. We’re talking about the days before manufactured sheetrock, so shiplap was used to provide the wall surface for wallpaper. After the shiplap was installed, it would be covered with an inexpensive fabric like muslin or cheesecloth. The fabric hid the joints in the shiplap so that the wallpaper application would go on smoothly. Today, modern interior designers and motivated DIYers like to remove wallpaper and all of the coverings that were once a focal point to expose these charming vintage gems. 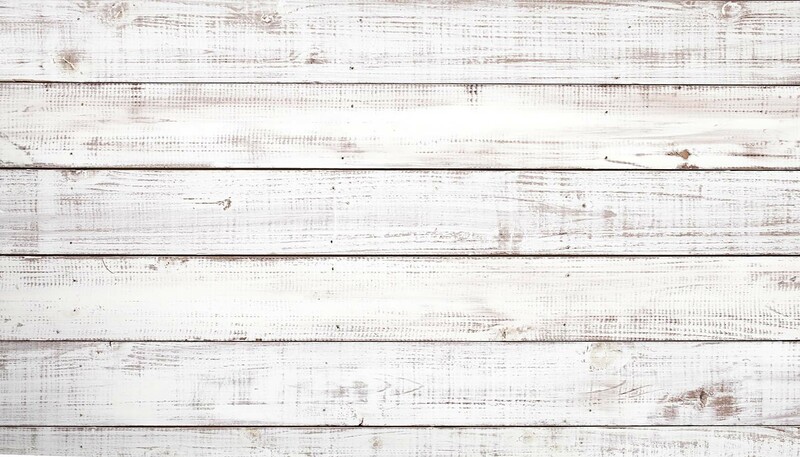 Charming, rustic shiplap wall design. Well, it’s not sheathing. Shiplap is not plain wooden boards nailed to a wall, which is what Joanna often show us on Fixer Upper. Often in old houses, these boards can be found on the exterior of the framing just beneath the siding. Today we frame a house and then install plywood sheathing to tighten the frame and help square everything up prior to putting on the siding and interior wall coverings. In the days before plywood we used 1×6 or 1×8 boards sometimes installed on a diagonal or horizontally as both sheathing and subfloor. 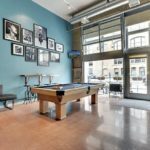 These boards can be salvaged and reused as paneling or for other creative design uses in various areas of your home since they can add a lot of rich character. 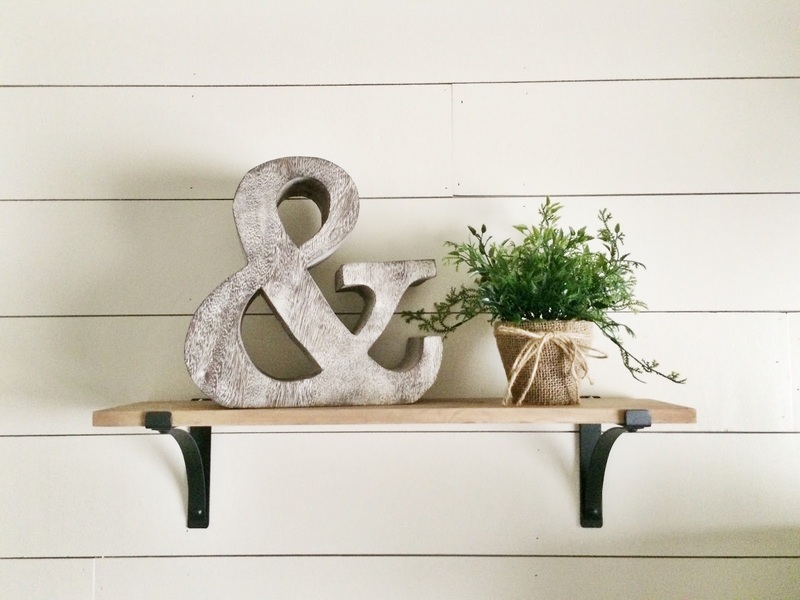 But… they are not shiplap. And it’s not tongue and groove. Tongue and groove boards are used in all different places in old homes. Flooring is the most common spot to find this, but there is a lot of siding that is tongue and groove as well out there. Tongue and groove boards are exactly what they sound like. One side of the board has a groove and the other side has a tongue. When they are installed side by side they fit together nice and snug which strengthens the floor or siding. But… they are not shiplap. So what is shiplap? For our purists (yes, you! ), shiplap is the original flat profile with a rabbet on top and bottom. Today, interior designers and DIYers search high and low for the original in salvage ship yards and antique home supply shops. Shiplap, like tongue and groove, has this special rabbet or notch cut on the edges of the board. These rabbets allow the boards, when installed horizontally, to self-space themselves and keep water from getting behind them because they fit like a glove. The lapped joint is one of the simplest you can use to accomplish the spacing and water stopping needs which is why shiplap was and is so popular. Once installed shiplap can look just like regular wood boards because the rabbets are hidden. So to the untrained eye, it can be hard to tell the difference between regular sheathing boards and the real macoy. There’s a sea of opinions out there, but you can install shiplap successfully from the bottom up or the top down. Some like starting on the top so you have a full board showing up high. Others prefer the full board at the bottom. Like most things in life, it’s your personal preference. Starting from the bottom may make it easier for you though as gravity will aid you in the installation process. Begin in a corner with your first board going all the way over the edge. You could use a shim or a couple of paint stirring sticks under the bottom board to lift it directly off the floor. This allows a little room for leveling off the first board if the floor isn’t quite level. It’s quite possible that your floor is not level. Once you have the board in place, put the level on top of the board and if needed, lift the board up by hand until level, and nail into every other stud 1″ up from the bottom of the board (this is more than enough to secure them). Continue around the entire length of the wall or room installing the bottom row. If your first boards are level, the entire project will go very smoothly. So ensure that this is the focus of your diligence. If your boards are not long enough to span the entire length of the wall, cut them to split a stud in half, and nail each board at the end into the 2 x 4. As you build up from the bottom, it is important for the overall look to stagger your joints. 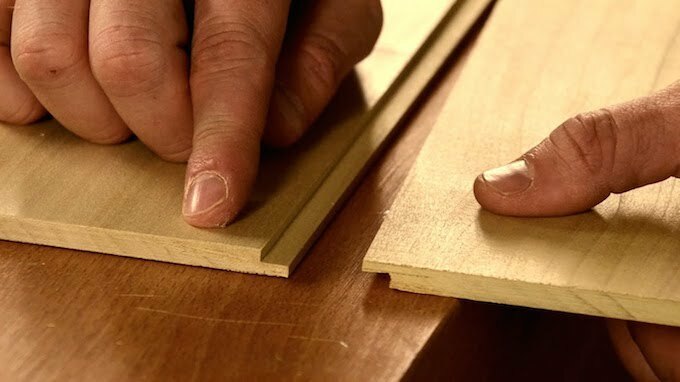 If your first board splits at the 12′ of studs, split the next one at a different joint. If you have a solid line of joints, it draws the eye directly to it and takes away from the overall look. Staggered joints for shiplap walls. Image by Table & Hearth. Once your bottom boards are on and level, you are ready to rock. Starting back at the corner, simply place the next board on top. Your task at this point is keeping the gaps even. Your shims or paint stirring sticks are even machined, low-cost options to ensure a safe bet. 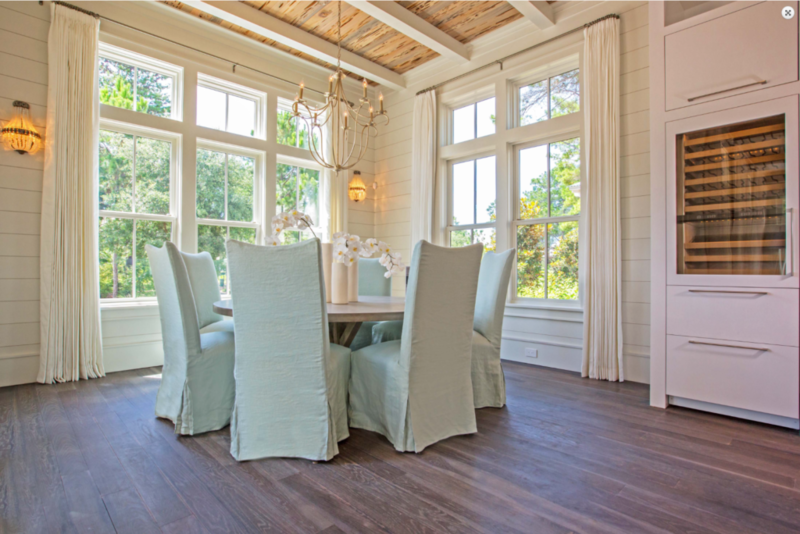 Whether you are using tongue and groove boards or true rabbit edge shiplap – the process is the same. If you are using tongue and groove, you can use a rubber mallet and a scrap piece of lumber if the groove needs pushed down at all. Once each board is in place, put a single nail at every other stud about an inch above the gap in the newly placed board. Be sure to nail on the same studs that you nailed your first board to. This ensures the nail pattern is consistent. Consistent nail patterns on shiplap walls. For corners, make sure that the tops and bottoms of each level of boards match up. This will provide for clean lines around the room. Stagger your joints as you go around on each level. Random cut lines look much more charming and aesthetically appealing than straight lines going up the wall. If you have windows or doors, take the shiplap all the way to the edge, this way trimming out is a breeze with a top board around the frames. Have fun and take your time. Shiplap is forgiving and affordable; if you make mistakes just remove a board or two and try again or replace one. Lastly, here’s a fun video we found that walks through the process of shaping a wall with shiplap style boards. Have fun and happy DIY Interior Design! 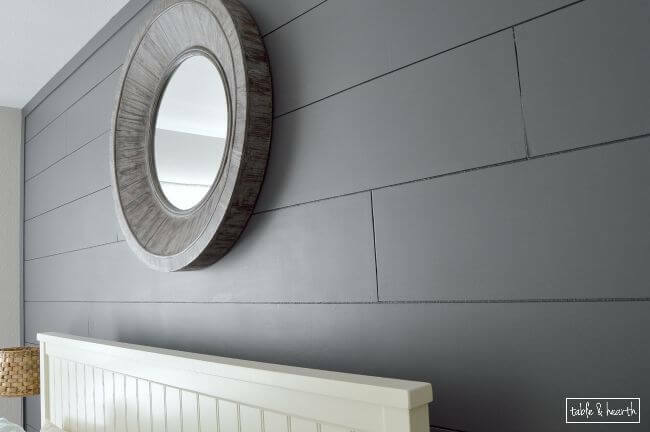 If you’re looking for shiplap walls in an interior design makeover, consider consulting with your local Minneapolis Interior Designer.